The easiest and fastest way to support NorthStar Pet Rescue is to make a direct donation via PayPal. Please click the button below to get started! Make a Donation via Venmo! Now accepting donatons via Venmo! 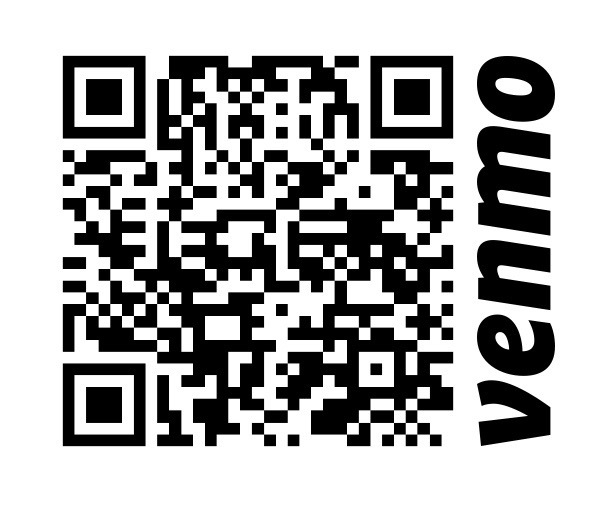 Scan our Venmo code below with the Venmo App on Android or iOS devices to make a quick and easy donation! Support from our generous donors is the engine that make our organization run and allows us to effect positive change and save lives. It not only takes a village of volunteers to save the life of an animal, it also requires a village of generous donors who believe in your mission. The board sets our adoption fees such that we can cover the cost of veterinarian care and transport of a animal 1500 miles across the country to our waiting arms, with a little left over for veterinary emergencies and the significant operating costs of the rescue (web hosting/IT fees, insurance, filing fees, medical supplies, foster support, etc., etc.). Like every other rescue, our financial situation is always tenuous. We have a special place in our hearts for Doggie moms and their puppies, Senior dogs, heartworm positive dogs, and those lost souls with medical issues that nobody else will take. Needless to say, this creates lots of veterinary bills we need to pay. During those times of crisis, the board members and volunteers once again reach a little deeper into their own pockets to save the organization. And so now we’re asking you to reach into your own pocket and help us with our mission to make a difference. All donations to NorthStar Pet Rescue are 100% tax deductible and we thank you for your support. Other Great Ways to Help NorthStar Pet Rescue! Many companies offer programs to match donations made by their employees to authorized/approved charities. This is a great way to power up your donation to NorthStar! Check with your employee benefits manager to see if they offer this great program. Every time you shop with Amazon Smile using “NorthStar Pet Rescue” as your designated charity, Amazon donates a tiny portion of the sale to NorthStar. Note that it’s not possible to designate a charity using the Amazon app, so if you are using the app on your phone or tablet, you can add things to your cart using the app, and then go to the website to complete your checkout. Do you have a great idea for a fundraiser? We’d love to hear about it! Fundraisers are a great opportunity to get involved. Golf outings, “Benefit nights” at a restaurant, the possibilities are endless. Contact us for more information! Legacy gifts are a powerful way to help NorthStar Pet Rescue continue our mission long into the future. Legacy gifts can take many forms, but all share the unique characteristics that they allow you to ultimately donate more to help save the lives of dogs that you may never thought possible while retaining the flexibility to donate conservatively during the course of your lifetime. Contact us for more information. Corporate Partnerships are a key component of our overall long-term strategy. We are excited to begin building long-term partnerships with industries of all shapes and sizes, focusing on mutually beneficial relationships with like-minded companies. Contact us for more details. If you are the advisor for a donor-advised fund, we’d appreciate your support in helping us achieve our mission. We have partnered with DAF Direct to make the giving process easy! Just fill in the fields below and you will be taken to the DAF portal of your brokerage where you can complete the advisory process.